In today’s world of social media, there are so many ways we can give people a window into our lives — whether it’s an Instagram photo, a Facebook text post, or a Snapchat video. As musicians, this is like gold to your fans. It’s a great way to share your experiences with those who can’t be there in person. 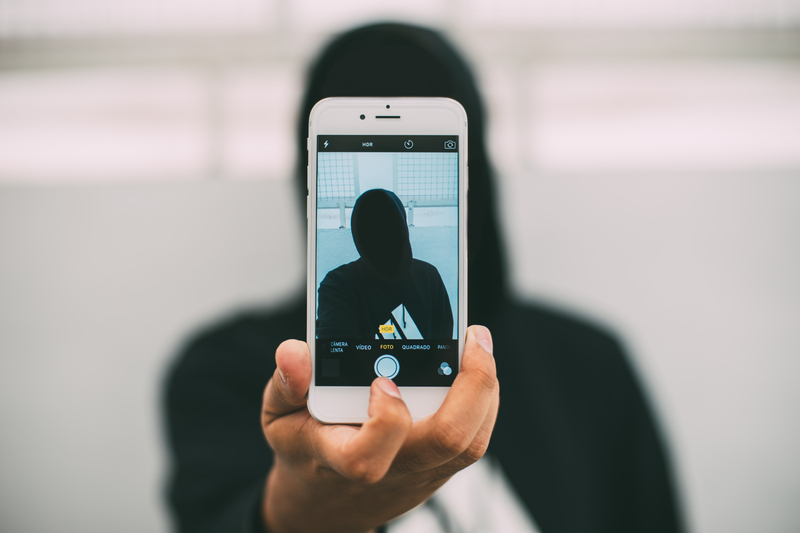 You can post links to your gig and photo recaps after your performance is over, but you can also create a Snapchat Story to really give your fans an exclusive look into what playing a show is like for you, the artist. What do you do backstage? What’s your load-out like? Any pre-show rituals? Below, we’ve outlined a formula for turning your live performance into a great Snapchat Story. Follow these steps for your next show, and be sure you encourage your fans beforehand to follow you on Snapchat using an email and social media service like Fan Reach. And remember: filters, filters, and more filters! A few days before your show, post a Snap to your Story with a message that gives your fans information about the performance. 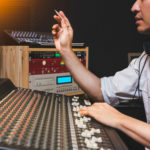 For example, if you have band practice, find an appropriate moment during your rehearsal to take a Snap of a song you’re rehearsing, or something funny you’re doing during a break. Either use text to post about the show, or just speak to the camera and promote directly. This gives your fans a window into your life before the show — getting ready, running through setlists, etc. Plus, it reinforces the fact that you’ve got a gig coming up that you want them to go to. On the day of your show, it’s a good idea to start your Story with some day-of-show promo. It could be a simple selfie video encouraging your fans to come to the show and providing the pertinent details, or it could be something more personal and funny, like doing a dance in the mirror with the caption “pre-show dance, come out tonight!” Whatever you choose to do, get the day started off in people’s feeds. So, you and your band are loading gear into the van — not the most interesting thing in the world. But this is a chance for you to make some fun out of it. Have a race with your drummer to the car and document it for Snapchat. Or if you jam-pack the van, take a picture with a goofy pose in front of it. Taking public transit? Take a selfie with your gear and some emojis. Got some delicious hummus and pita in the green room? Throw on a voice-changing filter and find some humor in it. Find a way to document it that represents your personality and brand. This is the side of your gig that your fans don’t get to experience, so show it to them. During soundcheck, your main focus should obviously be on, well, checking your sound. However, if you’re the guitarist and the drummer is testing his or her kit, take a quick video. 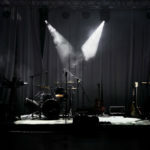 If you’re the opening act and you’re leaving your gear onstage, Snap a video of it all set up with a final rally call for your fans to come to the gig. Find a trusted friend or family member to document your performance. You should have a band login you can give them with a temporary password. It’s best to get a fan who knows your music well, but if they don’t, give them your setlist beforehand so they can follow along. It’s also good to go over what you want from them, otherwise they may take blurry photos or shaky videos that do more harm than good. Keyword: trusted friend. Try to find the sweet spot between under-posting and over-posting. If your Story is too long, people are just going to start rushing through each Snap or stop viewing it altogether. As a general guideline, around three Snaps for your set should be enough. At the end of the night, post a conclusion to your Snapchat Story. It could be a picture of the marquee with your band name on it and a simple “thank you,” or it could be a group picture of your band and/or the other bands. Let your fans know it was a great night and thank them for coming out. And if you have another show coming up soon, give it a quick plug! Sam Friedman is an electronic producer and singer-songwriter based in Brooklyn, creating music as Nerve Leak. Praised by major publications such as The FADER, his unique blend of experimental and pop music has earned him hundreds of thousands of streams across the web.